Unmanned aerial vehicles (UAVs) or drones have been around for hundreds of years. In fact the first documented flight of UAVs in the form of low-tech unmanned balloons went up in France in 1782. It did not take long for governments to use UAVs in military activities. UAVs in the form of kites were used in France in 1806 to drop propaganda across the countryside. In 1848, 200 unmanned balloons were outfitted with bombs by Austria to launch a secret attack on Venice. Back in the US, a patent for a flying machine that could hold bombs was filed in 1862 in Massachusetts. Then in 1898, the US armed forces found a use for kites by mounting a camera on a kite for reconnaissance purposes during the Spanish-American war. In World War II, the GB-1 Glide Bomb was designed to bypass German air defenses with a powerful 2000- pound bomb. In the 1960s, drones were a new focus in combat. The lightning bug and Ryan Firebee were used as remote combat aircraft. Lightning bugs were used in more than 3500 combat incidents. The Pioneer drone became part of the US and the Israeli military. By the turn of the century, drones had become indispensable for US military surveillance and combat in war zones everywhere. In 1993, drones were put to use in monitoring climate and environmental conditions around the world. Commercial uses for drones began to grow, making it easier for lots of people to do their jobs more effectively and cheaply. Farmers could inspect their fields in half the time it used to take, real estate professionals could inspect tall buildings and broad property better than before, and scientists could take important measurements and record sightings safely. Drones are driving major changes in one industry in particular: The entertainment industry. Before drones, helicopters, cranes, or blimps were necessary for shots taken from higher altitudes. That equipment was expensive and required significant planning. And while piloted aircraft can achieve shots that were impossible any other way, it has its limitations. On the other hand, drones can get into places other aircraft cannot. Drones can fly into small, tight spaces like doorways and windows. They can hover high above a crowded sports stadium while photographing close up images of the action on the field. They are becoming very popular for filming commercials for automobile companies. They can do all of this relatively cheaply. For example, a helicopter shoot for one day can cost more than $25,000, while a drone and its crew can cost as little as $5,000 for the day. Drones are not only helping in the filming and production of films, sports, news, and live entertainment, they are becoming part of the show itself. 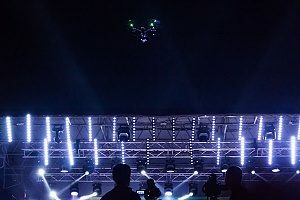 In 2016 in Europe, Intel launched a new drone called a shooting star that is being used for spectacular outdoor light shows. The software controls several hundred drones performing a synchronized light show high in the sky. The drone itself was built with the purpose of safety in mind. They are constructed with a soft frame made of flexible plastics and foam, without screws, have geofencing controls and covered cages protect the propellers. They are not likely to cause a serious injury if one or more collide with a person or property. As the entertainment industry finds new creative uses for drone shots, an entirely new industry is developing to support it. Drone pilots and crew are in demand for their expertise in operating the drones in challenging ways. Customized software, cameras, and lenses are being designed for these special applications. New drones will be designed and constructed to perform specialized acrobatics. Drone operation was a lot easier in foreign countries that have fewer restrictions on their operation. 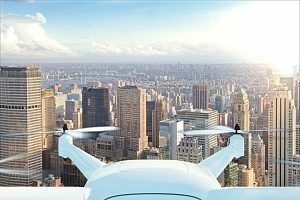 As drone use has increased, local jurisdictions in the US are becoming more comfortable with permitting commercial drone operation with restrictions and conditions designed for health and safety. This allows the entertainment industry to do more shoots locally with a smaller technical crew. The ability to operate locally with smaller crews and avoid travelling to other countries lowers the cost for everyone. This helps to level the playing field for the independent and start up filmmakers operating smaller budgets. The heavier reliance on drones in commercial activity means more accidents. The need for drone insurance coverage is not yet legally required but most businesses will not contract with drone operators without it. They type of drone insurance coverage needed depends on the nature of the activity. At a minimum, a drone owner/operator needs liability insurance to protect against injuries to other people and damage to other people’s property in the event of an accident. Coverage for the drone, its equipment, and payload is also advisable, especially if the drone will be carrying valuable camera equipment. 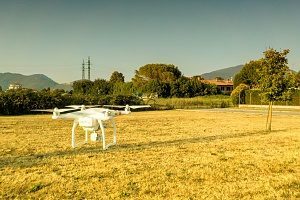 Expect the drone insurance industry to grow along with the growth of drone operations. 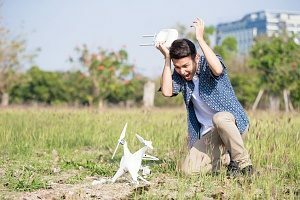 No matter whether you operate a drone for recreational or commercial purposes, protect yourself and your drone equipment against damage resulting from the inevitable accident. As more and more drones fly, the risk of an accident increases significantly. If you operate a drone for your business, you may already have drone insurance coverage. However, you should make sure the coverage you have is right for you. Contact an insurance broker soon for more information about drone insurance.